Want to be involved? We’re glad to hear it! Help can be given in many forms. 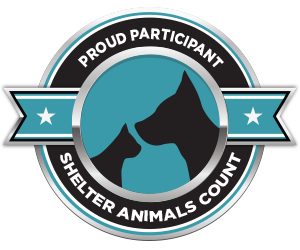 Donations are the most direct way to help homeless animals in Jones County. Monetary donations are put towards important areas like veterinary care, low-cost micro-chipping and educational programs. You can donate securely online from our donation page! This page also has information about additional ways of donating. Pet and cleaning supplies are another great way to help out! Please see our list of most-needed supplies if you’re interested in donating items. We have no paid staff, so we are always in need of volunteers. And with no shelter in Jones County, we rely on our fosters to help take care of animals while finding them their furever home. Whether you want to help once a month or every week, we have a job for you! Get an idea of the types of volunteer opportunities available (and more info on fostering too) at our volunteer page. Since our first year, AWF has partnered with businesses that support our life-saving work through donations of time, resources and talent. We refer to these businesses as our “Partners in Hope,” a name that truly reflects their contribution—providing hope to the many homeless dogs and cats who come into our care each year. Supporting these businesses helps support the AWF! We’re also always looking to partner with new businesses. For a list of our current partners and more information on joining the group, visit our business partners page.